This afternoon I left my mom in the cheerful company of my sisters and niece, and slipped away from the hospital to attend a spring concert. Unbelievably, the school year is drawing to a close. 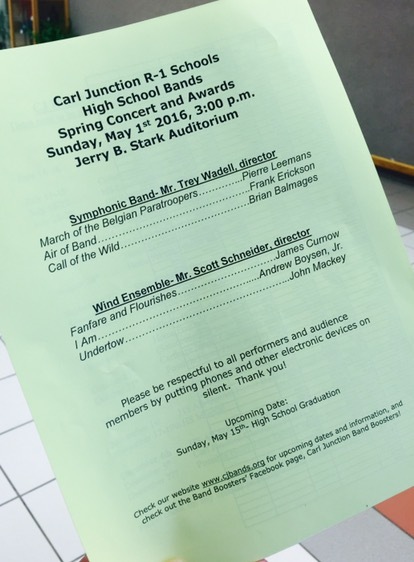 My grandson Dayan, who has been extremely busy with end of school competitions, joined the Carl Junction Wind Ensemble for the final concert of his junior year. 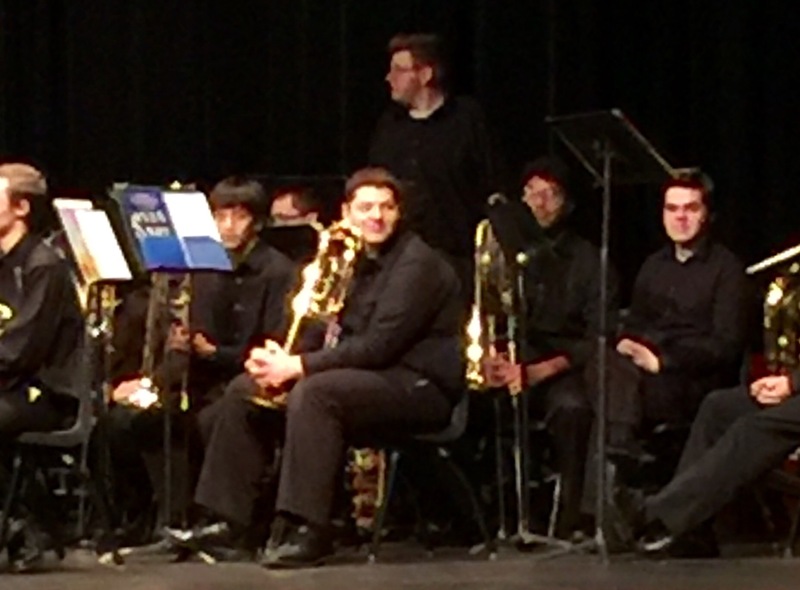 I love band concerts and I confess a special fondness for the bands that my grandson is a member of. I’ve been attending Dayan’s band performances for years, and I’ve had the pleasure of watching him and the other musicians grow in their musical abilities. This group of teens sounds amazing together. I am always impressed, inspired and deeply moved, listening as they play. 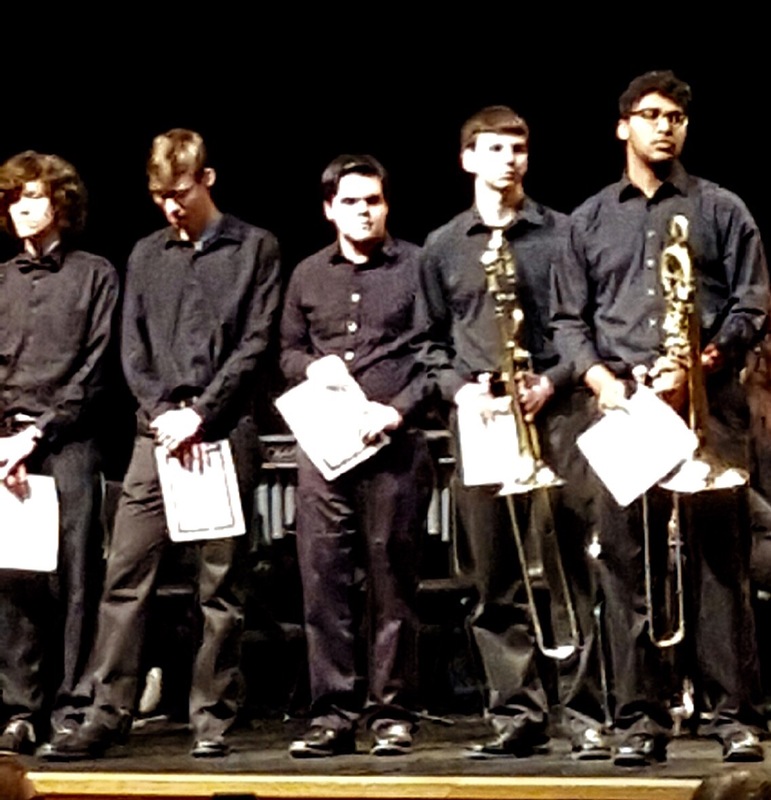 Today, between the Symphonic Band performance, directed by Trey Wadell, and the Wind Ensemble performance, directed by Scott Schneider, awards were presented. Dayan was recognized as a sectional leader and for being selected as a member of this year’s Honor Band. He also lettered in band, for the third time as a high schooler. 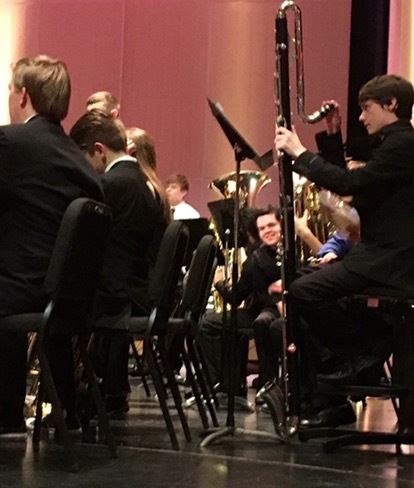 After a time of recognition and well deserved applause, the Wind Ensemble, of which Dayan is a member, graced us with three musical selections. Fanfare and Flourishes by James Cumow was a great opening attention grabber. I Am by Andrew Boysen Jr was a moving selection with a poignant backstory. Commissioned after the tragic death of high school band member Lynn Jones, Boysen created this piece as a celebration and affirmation of life. There’s a section intended to represent the foggy morning of the car crash in which Jones died. And at the end of the piece, the band members softly chant, “I am…I am…I am.” Beautiful and haunting. I like exciting things, and doing good for others. Beauty, Successfulness and Smartness are important to me. I like to achieve recognition. I can succeed if I really put my mind to it. But I can change when I realize my ignorance. I like a simple nonchalant lifestyle. This is me. I am! Such a powerful way to memorialize this teenager’s poem and life. The ensemble played with passion and skill. I was deeply touched. The last selection was Undertow by John Mackey, a lively and creative piece that brought applause and a standing ovation. Cake was served after the concert. Josh, Elissa, Greg and I might have been near the front of the refreshment line! 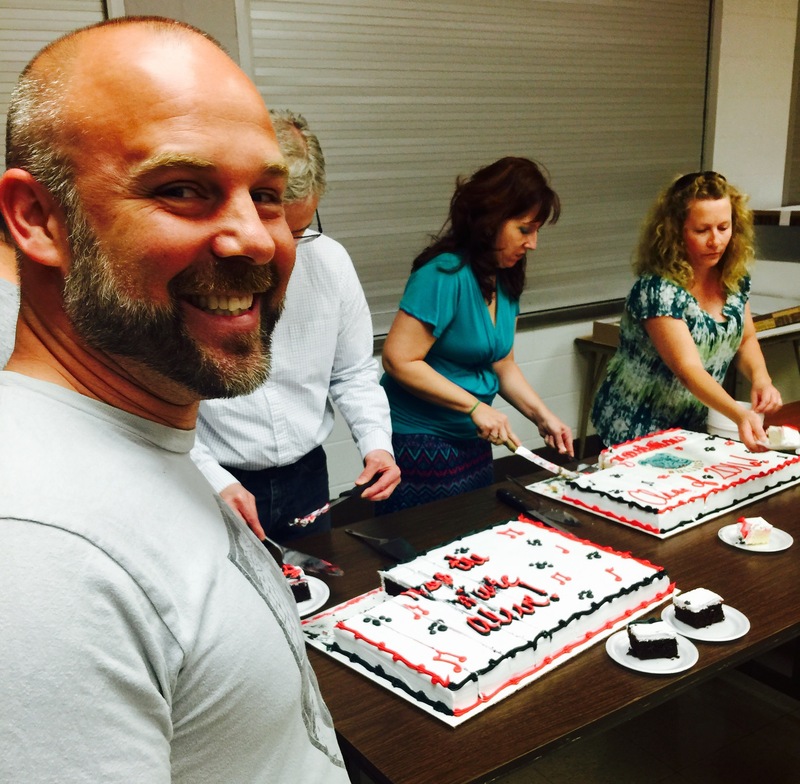 We enjoyed this celebratory dessert as we watched for Dayan, who joined us when he could. I’m proud of this dedicated group of young men and women. As I listened to their performance, marveling as always at the gifts these musicians offer to the world, I acknowledged that this beautiful work of creativity is the culmination of hours and hours of effort. I know Dayan’s schedule. From marching band to honor band to ensembles, he shows up for early morning practices, experiences long bus rides, participates in parades in all types of weather and gives his best effort during nerve wracking auditions, solos and competitions. Why? So he can play the music that’s before him. So he can join with others as they do the same. So that together, they create something larger than themselves. What amazing life lessons they are learning. What beautiful music they create. I’m already looking forward to the next school year’s performances.